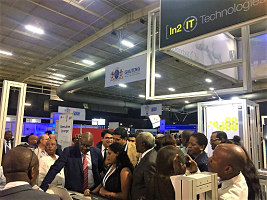 In2IT Technologies, a leading ICT managed service provider, recently launched their latest innovation – a software bot – at the Technology Innovation Conference 2018, hosted by the Gauteng provincial government. 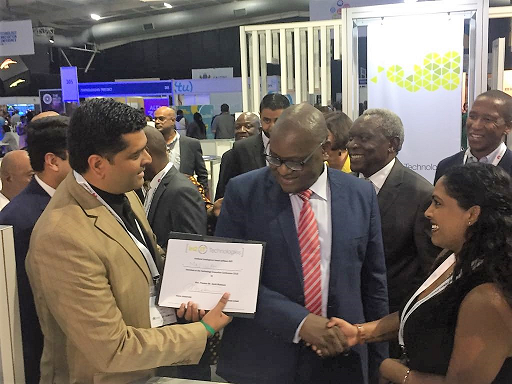 The honourable Premier Mr David Makhura, who attended the event, named In2IT’s newly launched chatbot ‘Mapula’, meaning ‘mother of rain’ in Sesotho, at their stand on the 1st of February 2018. The name ‘Mapula’ was especially significant, as it was given to bring hope and support to those in the Western Cape who are currently struggling with the devastating drought. Moreover, Mapula – who in her own right is a type of technological ‘rain man’ or should it be ‘rain woman’ in this case – has the power to combine the ease of mobile messaging with the power of AI. Mapula presents users with new ways of engaging with an organisation and solving problems. This Software bot that encompasses robotic process automation (RPA) will enable citizen services to be easily executed and will create an efficient way of integrating service tools. Using RPA any element of operation can be automated whether it is with the client themselves or outsourced to a service provider. Thus it gives clients a better control of operations by core team. The Technology Innovation Conference 2018 promoted the idea that South Africa has much to highlight and ‘showcase’ when it comes to technological innovation. Yet, sectors such as agriculture, mining, health, financial services, energy, government, academics and corporates still need to come together and collaborate on new ways of going forward.